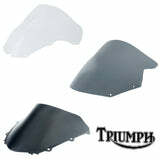 Click here to be notified by email when TRIUMPH-Airblade Racing Screens becomes available. 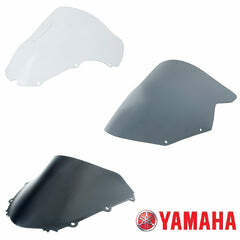 Airblade Racing Screens offer the ultimate, crack resistant high-quality premium Acrylic construction, with quality assurance from top racing teams such as the Yamaha British Superbike Team and RM Racing. The Airblade Screens utilise a Double Bubble shape which offers your bike clean aerodynamics and wind protection for you, the rider! 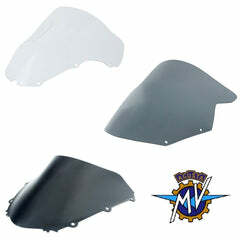 Airblade Racing Screens come pre-drilled, meaning a secure and perfect fit to the OEM fairings. Available in CLEAR, LIGHT SMOKED, and DARK SMOKED, to suit any style of rider or bike! 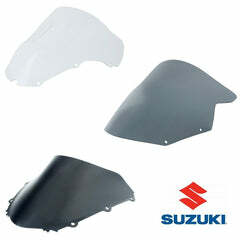 Airblade screens are designed with a double bubble construction to increase your bikes aerodynamics, performance and overall styling with a selection of tints available.